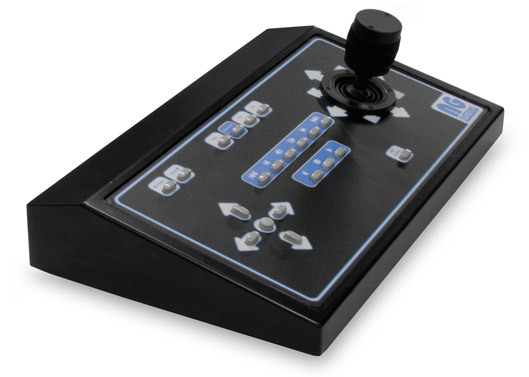 The NG Systems X3100 USB joystick controller is designed specifically for IP video surveillance systems and features a sturdy, 3-axis, industry standard joystick and 21 user-defined push buttons ergonomically arranged to suit many video applications (layout optimized for Milestone software). The keyboard’s sturdy mild-steel construction allows for single-handed joystick control and the intuitively placed push-buttons enable the keyboard to be operated without taking your eyes off the screen. The X3100 is powered directly from the PC’s USB port and is automatically installed by the Windows operating system. For a demonstration please view the second video below. 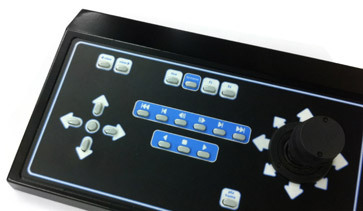 The X3100 Plug-in is constantly under development and new features can be added at any time. Customisation of the Plug-in is also available. The X3100 XProtect® Smart Client Plug-in is available now and registration is a requirement for download. Register free here!